1Fish Processing and Technology Lab., Fisheries Division, National Institute of Oceanography and Fisheries, Cairo, Egypt. The main objective of this investigation was to evaluate the quality of three types of fish pastirma prepared from common carp (Cyprinus carpio L.), kawakawa (Euthynnus affinis) and little tuna (Euthynnus alletteratus) during frozen storage at -18°C for three months. Physiochemical, microbiological and sensory properties of fish pastirma were determined. At zero time the results showed that, the values of pH, TVBN, TMA, TBA and TBC ranged between (4.82-5.42), (10.47-43.89 mg/100g), (2.56-10.70 mg/100g), (0.017-0.111 mg MDA/kg) and (1.23-1.77 logcfu/g); respectively. 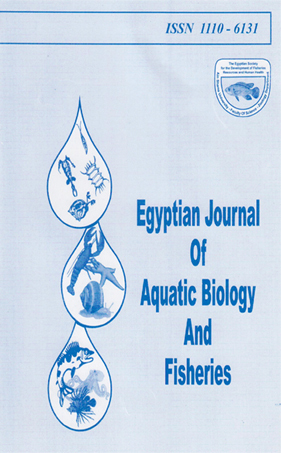 Also, results indicated that the values of pH, TVBN, TMA and TBA parameter were increased during storage period at -18°C and all samples did not exceed the maximum permissible levels as determined by the Egyptian Standard Specification for both freshwater and marine fish. Staphylococcus aureus, E.coli, totalcoliform were not detected during storage of three types of fish pastirma. In addition, total bacterial count was increased at the first month of storage then decreased till the end of storage but not exceed the MPL reported by ESS. Sensory evaluation did not change significantly (p>0.05) in both three types of fish pastirma. The study concluded that the effect of frozen storage at -18°C on fish pastirma quality properties varied between fish species and depended on the functional properties of fish muscles and all samples gain high organoleptic acceptance as an alternative and cheap product compared to the meat product.